• No worries, we’ll support you along the trail. • Ridden enough? Jump in the van. 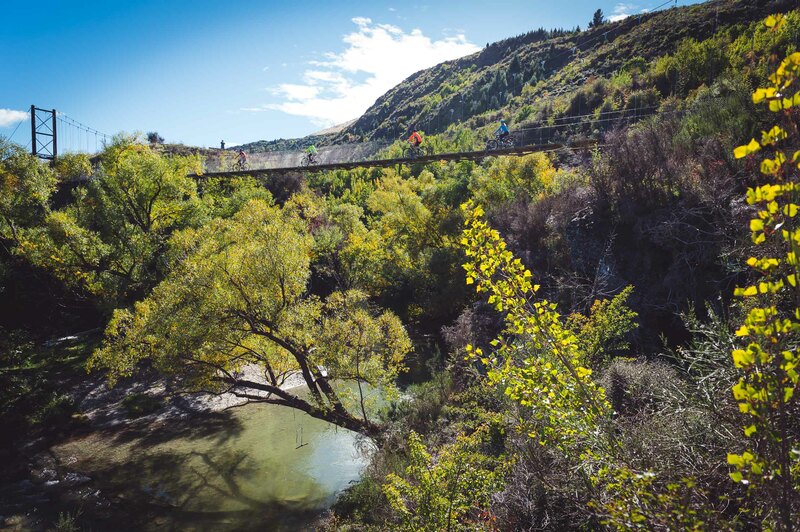 • 15 km of gorgeous mountain biking. 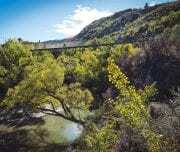 • River gorges, suspension bridges, Bungy and a winery. • A perfect ending, we’ll shout you a wine tasting. 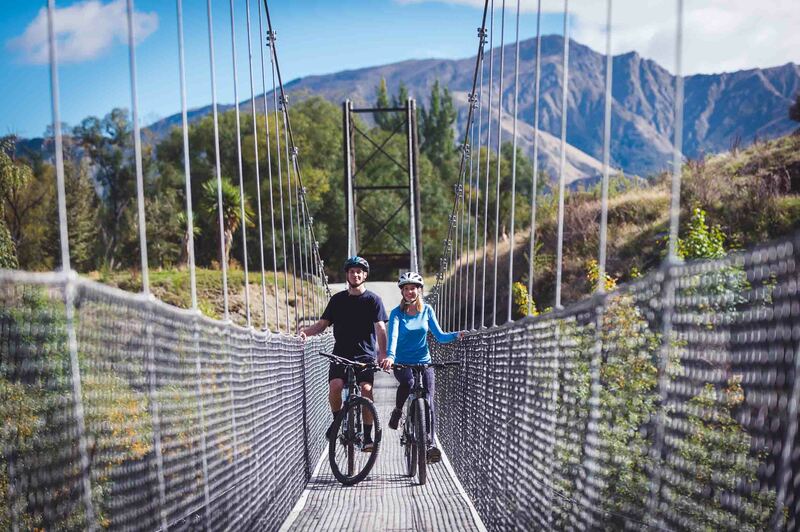 Enjoy our supported half day biking experience on the majestic Queenstown Trail, biking along the stunning Arrow River Bridges Trail on this incredible half day bike tour. Meander along the Arrow and Kawarau rivers crossing 3 suspension bridges including the Kawarau Bungy Bridge, the home of AJ Hackett Bungy, then into Gibbston Valley for a relaxing wine tasting before being delivered back to your Queenstown accommodation. 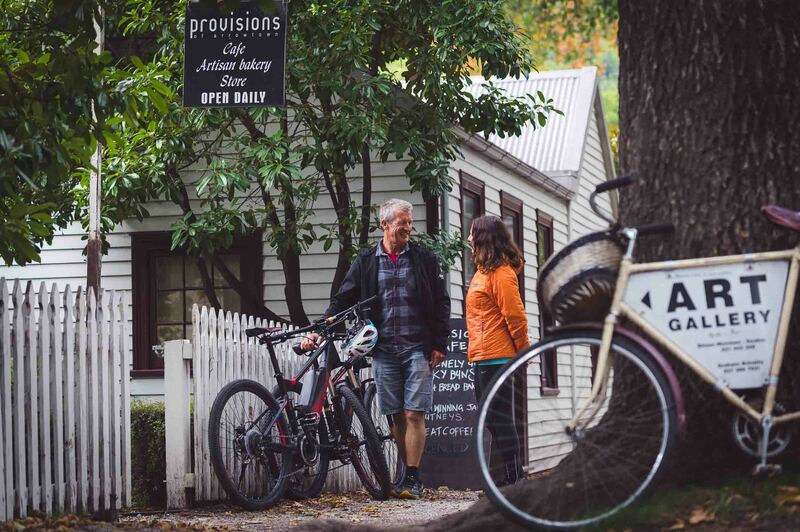 Enjoy vehicle support vehicle at designated points throughout your 15km off-road bike ride. 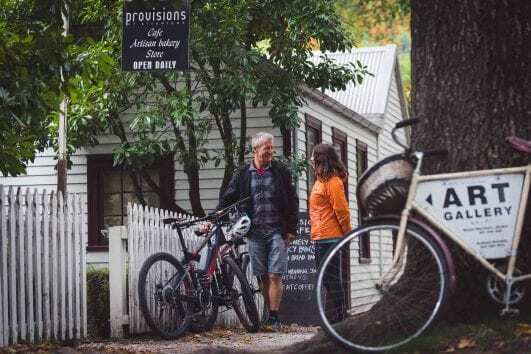 Would you like one of our local guides to ride the trail with you? A guide riding the trail with you can be booked in addition to your vehicle support. For enquires – please email info@aroundthebasin.co.nz . Cross the Karawau Bungy Bridge – the first Bungy jump in the world!! 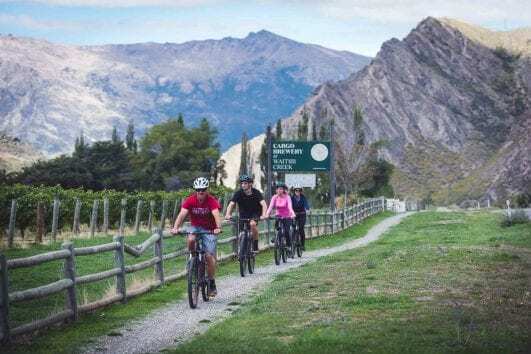 At roughly 3.00 PM you will reach Gibbston, where you will be treated to a wine tasting. A great way to wrap up your tour. WEAR Comfortable athletic clothing, shoes, jacket and gloves. 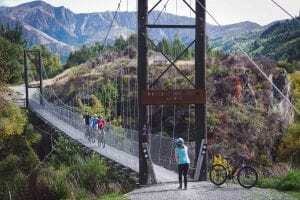 Shuttle with us from Queenstown out to the Kawarau Bungy Bridge. 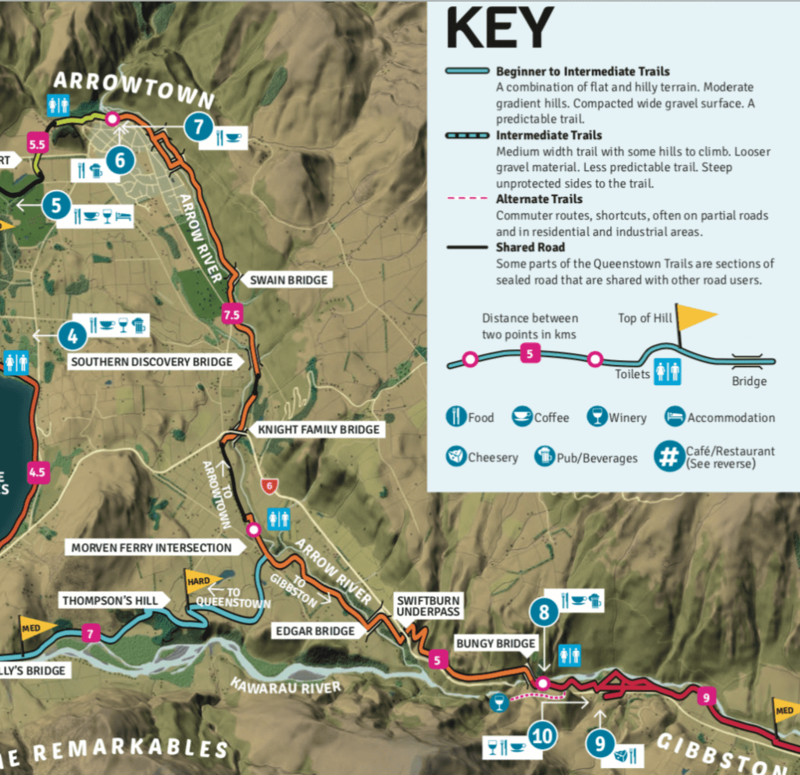 Check out the Bungy before riding to Arrowtown.